The combined fortunes of Britain’s five richest families are worth more than the poorest 20 percent of the population, says an Oxfam report. The organization has appealed to the government to take action over the UK’s widening wealth gap. In a report published on Monday entitled “A Tale of Two Britains,” the charity revealed the scope of the UK’s wealth divide. It calculated that Britain’s five richest families have a fortune of £28.2 billion ($46.9 billion), more than the £28.1 billion ($46.7 billion) of the poorest 20 percent of the UK population. The study also said that over the past two decades the richest 0.1 percent of the population has seen its wealth grow almost four times faster than the 90 percent of population who are considered well-off. In real terms in means the rich have seen their income rise by £24,000 ($40,000) every year. The authors of the study said the new figures were “deeply worrying” and indicative of an “economic failure” on the part of the UK government. “Britain is becoming a deeply divided nation, with a wealthy elite who are seeing their incomes spiral up, while millions of families are struggling to make ends meet,” said Bill Phillips, Oxfam’s director of campaigns and policy in a statement. Phillips said the current system had led to a “vicious circle” where the rules are constantly being re-written in favor of the super wealthy. “It’s deeply worrying that these extreme levels of wealth inequality exist in Britain today, where just a handful of people have more money than millions struggling to survive on the breadline,” writes the study. The report has been released ahead of this week’s UK Budget and Oxfam has urged Chancellor George Osborne to take measure to tackle the rising inequality in Britain. The report calls on the government to take further measures to tackle companies and individuals who evade taxes. 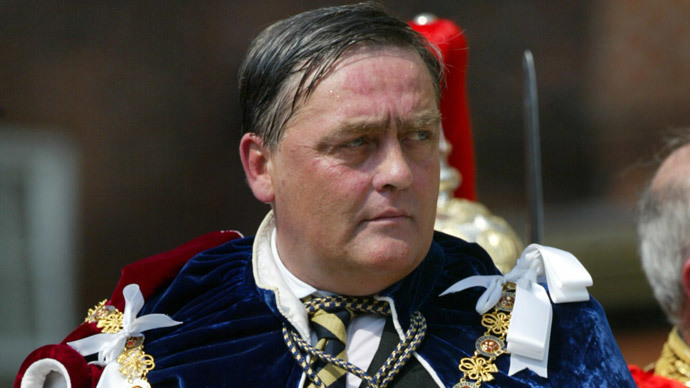 Topping the list of Britain’s richest is the Duke of Westminster, Gerald Cavendish Grosvenor who has a fortune of £7.9 billion ($13 billion), according to Forbes. The Duke owns thousands of acres of real estate, including 190 acres in Belgravia, an area adjacent to Buckingham Palace and one of London’s most expensive neighborhoods. Second on the list are real estate moguls David and Simon Reuben, with a combined wealth of $11.5 billion. The Hinduja brothers Srichand and Gopichand come in third place with a fortune of $10 billion. Bringing up the rear with respective fortunes of $6.9 billion and $5.5 billion, are Charles the 8th Earl of Cadogan, and reclusive billionaire Michael Ashley. Oxfam published a similar report in January showing that the world’s 85 wealthiest people have as much money as the 3.5 billion poorest people on the planet – half the Earth’s population.